Here is my explain about the ink conectors are in the new HP printers, all about the bad items and fast damage. It's amazing how the manufacturer of a product diminishes the quality just to save money and increase your income. 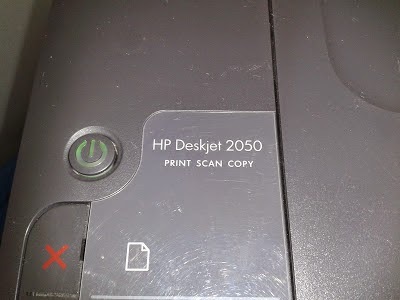 Today when servicing a computer from a client I realized how fragile the company HP has created the connectors on the HP deskjet 3050 printer, this is a modern printers or better versions that this manufacturer is selling throughout Latin America. I can consider protestant abuse consumers, when i exclaimed in my posts that can not be so great as that makes this manufacturer discrimination, visit publications like the real secret of the HP 122 cartridges, where the manufacturer only distributes these cartridges in our region in other regions instead these cartridges have other numbers and other support ink. 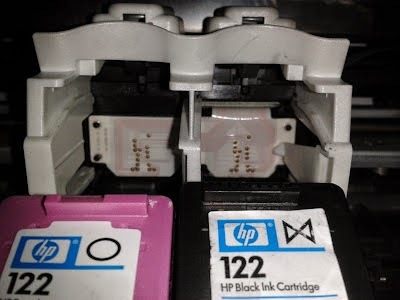 This greatly affects ink cartridges burn fast with simple connectors which must pass electricity, imagine what it can actually withstand a printer, what concerns most is that many printers of this type have the same connector. Many printers all these times, within this list are Hp deskjet 1000, 1050, 1055, 2000, 2050, 3000, 3050, 3050A printers. The only way to avoid this case is buying printers that are really going to our need, these printers can be sold as printers for business or office use, the truth is that the strength and durability of these teams is not compatible with the job which is assigned. Always remember implement to know what the cartridge yield, the formula of dividing the number of pages that receive between the price of the cartridges.